Their cooperation started spontaneously being at the same time kind of a follow-up to their joint verses from the 90s. 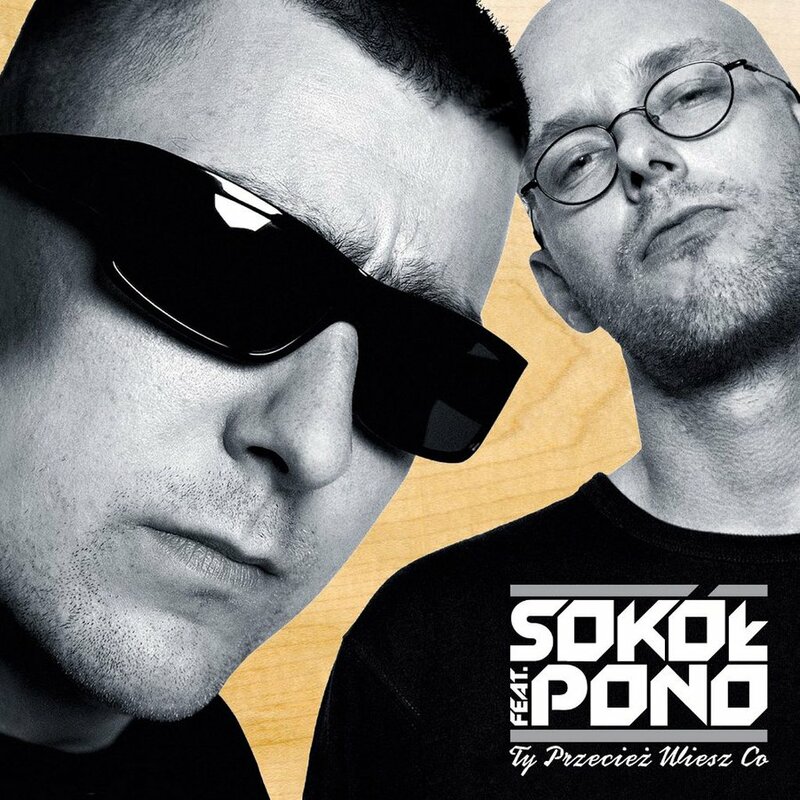 TPWC is both the oldest and latest ZIP Skład project - under this name Sokół and Pono recorded their first tracks and supported Run DMC in Warsaw in 1997. "Teraz Pieniądz W Cenie" and ”Ty Przecież Wiesz Co” - these are the titles of their latest joint albums. Since TPWC times their paths have crossed many times. They are friends on stage and in life having known each other as ZIP Skład members. So far, however, they haven’t cooperated on one full album - only on particular tracks. Up to now Pono has released 2 solo albums: "Hołd" (2002) and "Tak to widzę" (2006), and 2 albums with Zipera: "O.N.F.R." (2000) and "Druga strona medalu" (2004). Sokół recorded WWO albums with Jędker and Deszczu Strugi: "Masz i pomyśl" (2001), "We własnej osobie" (2002), "Życie na kredycie" (2005) and"Witam was w rzeczywistości" (2005). New TPWC" albums are initiated by Sokół - from themes to producer and guest selection. Pono was responsible for adding verses, hence the name of the project: Sokół feat. Pono. Soon both artists will swap places with their next joint album: Pono feat. Sokół.